LOS ANGELES (CelebrityAccess) — Live Nation Entertainment, Inc. announced that they have acquired a slate of assets from Complete Entertainment Resources Group, Inc. the company formerly known as Songkick. Assets acquired by Live Nation include CERG’s ticketing commerce platform, anti-scalping algorithm, API applications and patent portfolio. The two companies also announced that they have agreed to a settlement resolving litigation that was scheduled to go to trial later this month. While a price for the acquisition was not disclosed, Amplify reported that the deal included a payment to CERG to settle the lawsuit, for $110 million. “We are pleased that we were able to resolve this dispute and avoid protracted and costly legal proceedings, while also acquiring valuable assets,” said Joe Berchtold, President of Live Nation. “We are glad to have resolved this litigation and thank all the employees, artists and industry partners who contributed so much to our many successes over the last decade,” said Matt Jones, Chief Executive Officer of CERG. Songkick had filed suit against Ticketmaster in early 2017, accusing their rival of anti-competitive practices. Songkick also alleged that Ticketmaster had improperly obtained access to property information after Stephen Mead, a former Crowdsurge employee with access to Songkick data was alleged to have briefed Ticketmaster on the company’s business following Crowdsurge’s acquisition by Songkick. 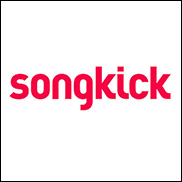 In July 2017, Warner Music announced that they had acquired Songkick and the company announced that it was ceasing its ticketing operations in November. Originally founded in 2008 by Ian Hogarth, Michelle You and Pete Smith, Songkick’s artist and concert discovery tools helped them to become a popular ticketing platform.